Reiki involves the transfer of energy from practitioner to patient to enhance the body's natural ability to heal itself through the balancing of energy. 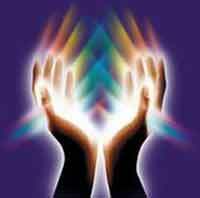 Reiki utilizes specific techniques for restoring and balancing the natural life force energy within the body. It is a holistic, natural, hands-on energy healing system that touches on all levels: body, mind, and spirit.Reiki practitioners channel energy in a particular pattern to heal and harmonize. Unlike other healing therapies based on the premise of a human energy field, Reiki seeks to restore order to the body whose vital energy has become unbalanced.